Previously, I wrote how to turn any speaker to Bluetooth speaker. In that I article, I mentioned how you can use Bluetooth audio receiver to add wireless streaming capability in your old home speaker. Then, I thought to write about the best Bluetooth Audio receivers in detail so that you can get the best music experience. What is Bluetooth Audio Receiver? 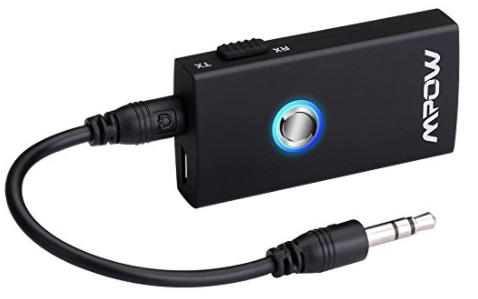 Bluetooth audio receiver is a tiny decide that helps you connect wireless sources to your older home or car audio system. So, you do not need to replace your old but good home audio system with good Bluetooth Speaker just because you want the wireless streaming device. Bluetooth has made it easy to enjoy music. If you have a speaker with the wireless music streaming option, you are free to enjoy music. You can control music playback without the need to come back to speaker again and again. There are several Bluetooth Audio Receivers in the market. So, we have compiled the list of best Bluetooth Audio Receivers. You can buy any of these. Below is the list of best Bluetooth Audio Receivers in india to buy. 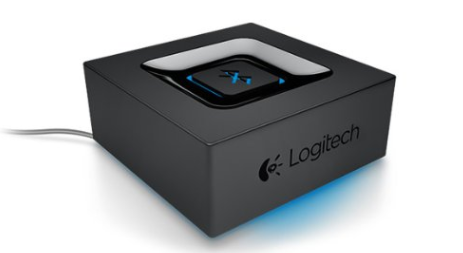 Logitech Bluetooth Audio is the best that I recommend to all. It is cost effective and offers nice features. You just need to connect it with your speaker and then connect your phone to it. It offers a reliable connection from up to 50 feet. It has both RCA and 3.5 mm audio jacks. Logitech Bluetooth Audio also has a dedicated button to pair with other devices. Just press this button and you will see the Bluetooth device name on your mobile phone. The only issue with this device is the lack of battery. So, you also need to plug the power into this device. TP-LINK HA100 is another nice Bluetooth audio receiver. It also comes with NFC connectivity. 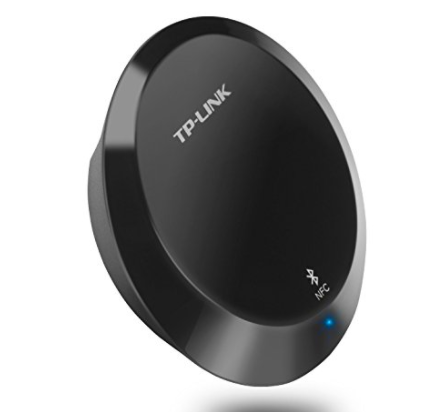 The device is compatible with all devices supporting Bluetooth 4.1 with A2DP. It has a range of up to 66 feet within direct line of sight. TP-LINK HA100 also requires power from the external source. It has USB for power option. The device can also connect with multiple devices at the same time but other devices cannot overtake the music. 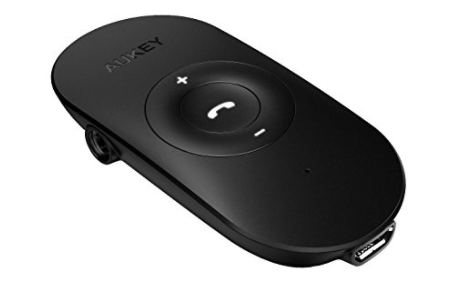 Aukey Audio Receiver is also a notable device. It is good for both Home and car audio system. The advantage of this device is that it comes with a built-in mic. So, you can also take calls. It has the range of up to 33 meters. Aukey Audio Receiver comes with a built-in battery that offers around 8 hours of usage with a single charge. 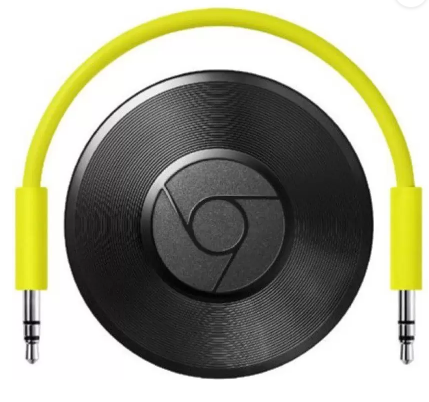 Chromecast Audio is not an Bluetooth audio receiver, but just an audio receiver by Google that uses Wifi to connect to mobile phone and aux to connect to speaker. It lets you enjoy your songs on home audio speakers. It is easy to connect. You just need to plugin 3.5mm jack to the speaker and connect it to charger over micro USB. It is one of the Best Audio Receivers available in market. It offers multi-room feature and you can also connect multiple devices. Other devices can also take over songs. It supports Android 4.1+, iOS 7+, Mac OSX 10.7+ and Windows 7+ operating systems. This is another nice device. It is ideal for any speaker using Standard RCA Or 3.5mm Jack. Mpow Streamboth supports all devices supporting Bluetooth 4.1 with A2DP. This device is both Transmitter and Receiver. So, you can also use it with MP3, CD / DVD players, e-readers, TVs and more devices to transmit audio to any Bluetooth speaker. Bluetooth transmission is equally important and this device got that as well. It solves multiple purposes. So, you can consider this as well. There are many other cheap Bluetooth Audio receivers. You can see those on different online stores. But those do not offer good music quality. Those devices also have range issues. So, you can consider any of the given Best Bluetooth Audio Receivers. If you have anything to ask, you can comment below. If you have any suggestion to add in this list, you can always suggest us via comment or use the contact form.